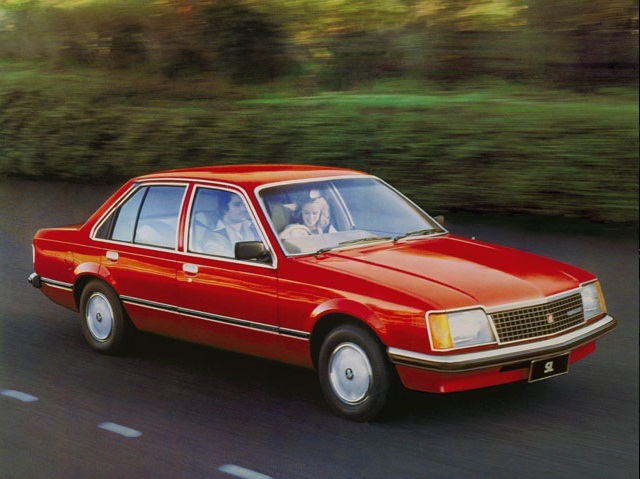 From The Australiad, a Poem. And ev’ry domestic bird to housewife dear, And lastly man felt the wrath of Heaven And pray’d—but not in vain. 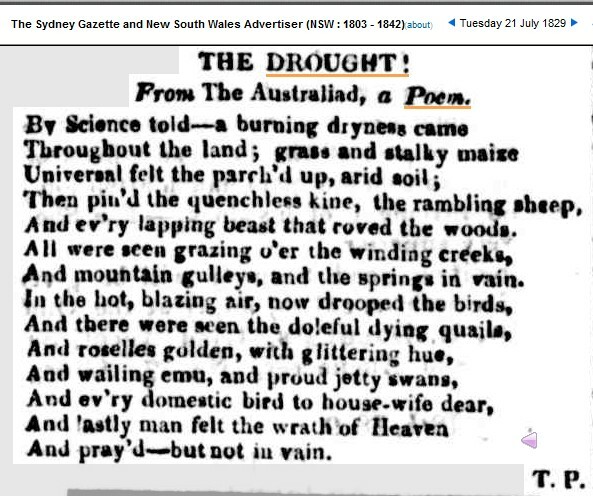 21 Jul 1829 – THE DROUGHT! 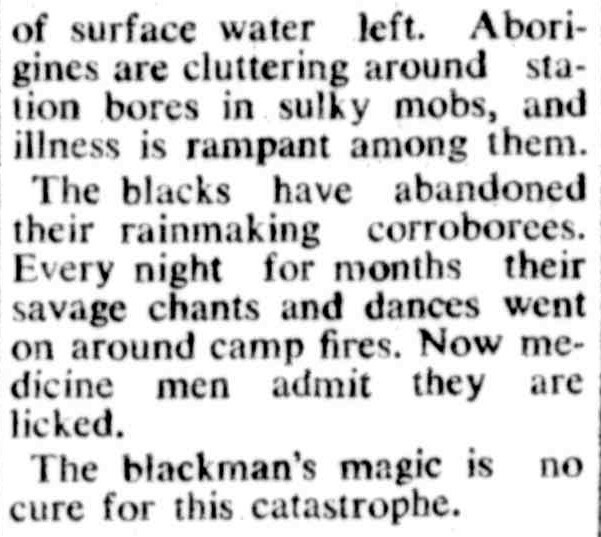 From The Australiad, a Poem. 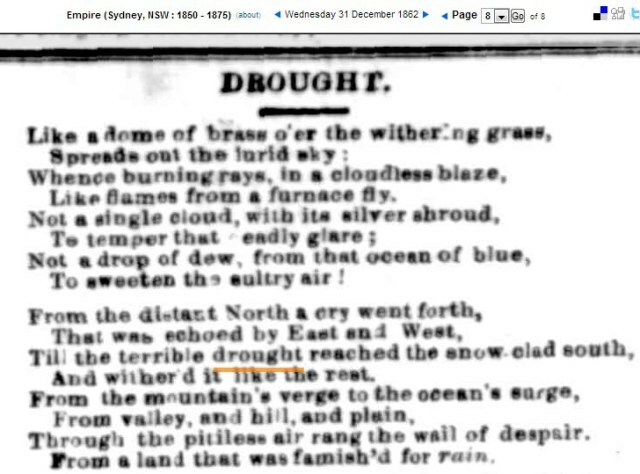 Except in coastal NSW, drought became widespread and severe from July to October. 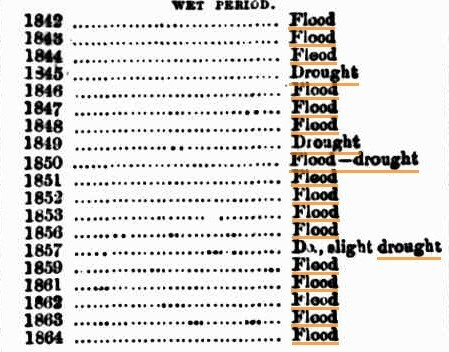 Across large areas of the southern states the period May through October 1914 remains the driest such period on record. As conditions worsened, stock were transported as fast as the railways could carry them to more favoured locations, where – naturally – prices for agistment rose substantially. 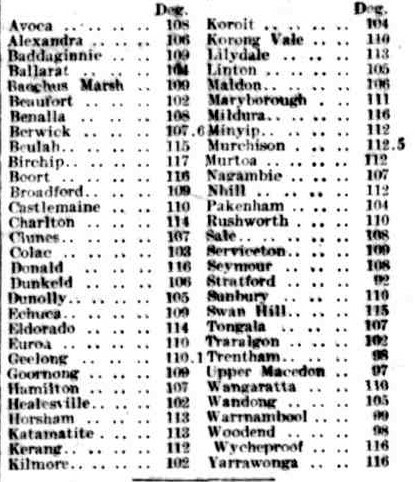 From the Deniliquin district alone over half a million sheep, and thousands of horses and cattle, were moved out. Rivers throughout southeastern Australia fell to extremely low levels. The Murray River at Echuca fell to its lowest level ever recorded to that time, to just 2 percent of its normal flow by December. Downstream of Swan Hill the Murray was reduced to a series of stagnant pools. By the end of October the national wheat crop was a total failure. 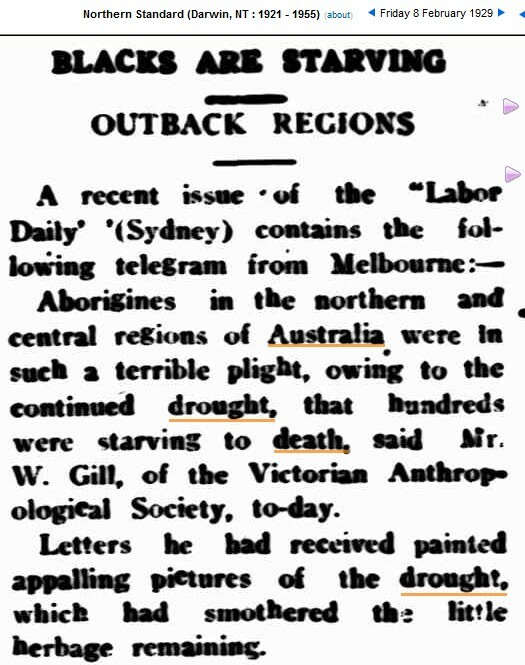 In southwestern Australia – often spared when drought afflicts the eastern states – less than half the normal rainfall fell during the critical May-October period, leading to complete crop failure in some districts, and easily the lowest Western Australian wheat yield of the century. 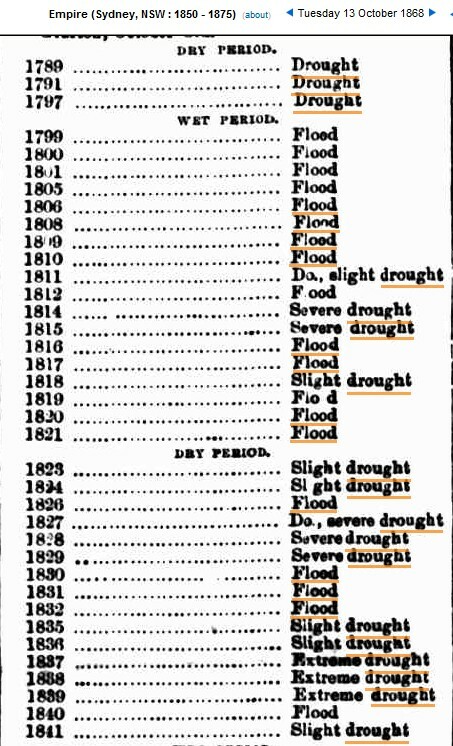 31 Dec 1862 – DROUGHT. 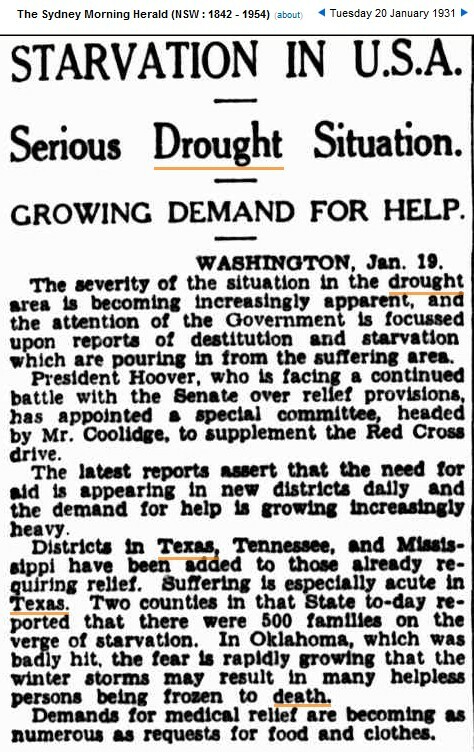 Obama says that he can end drought by bypassing Congress to make the climate cool like it was in 1965. 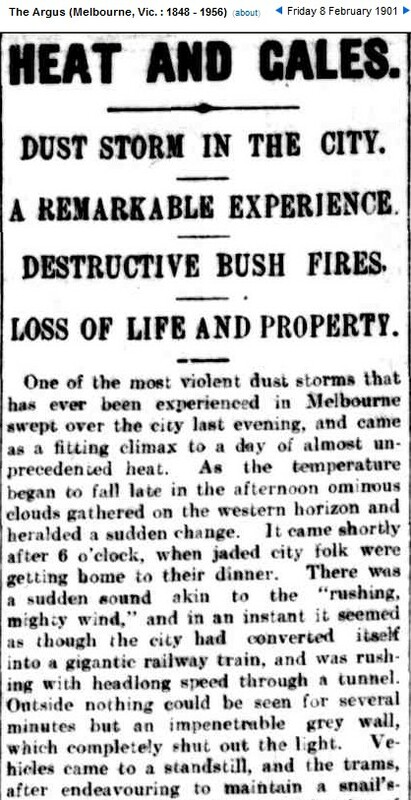 The erratic climate of Australia, alternating between drought and flood, has caused all intelligent life forms in Canberra to go extinct. Last year, Joe Romm determined that he could forecast the rest of time – based on one storm. However, 110 years earlier – it is unlikely that anyone that dimwitted would have survived long enough to go bald. 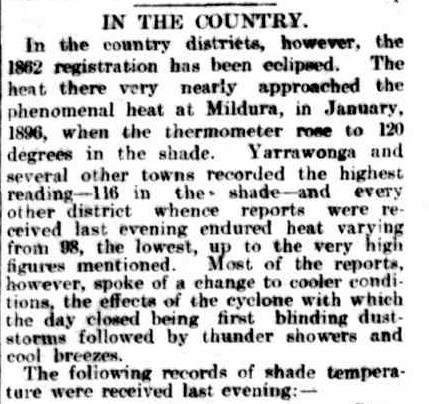 In Queensland, the 1902 drought was the culmination of eight years that were dry more often than not over most areas. These years had a devastating effect on stock numbers: sheep numbers fell from 91 million to 54 million, and cattle from 11.8 million to 7 million. 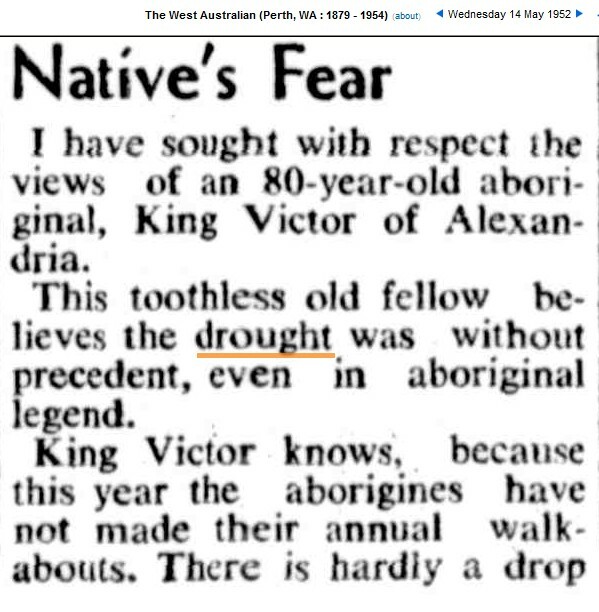 The drought began focussing minds on irrigation, especially in the three states through which the Murray River flows: but it wasn’t until the next severe drought in 1914 that the River Murray Commission was created.